This is an archive page of our lens rumours – pre 2008. 2007 December 27th According to the latest copy of EOS Magazine (in the UK) Further information on the EF 200/2 and EF 800/5.6 will be available ‘early in 2008’. 16th I’ve had several enquiries about the EF 24-105/4L IS USM, it seems difficult to find in Sweden and in the UK several dealers are offering ‘white box’ or ‘unboxed’ new lenses (with no rebate, but cheaper). Low stock levels or a ‘clear out’ ahead of something new to go with a 5D Mk2 early next year? 2007 October 25th I’ve been told (thanks) that the minimum focusing distance for the 200/2 is 1.9 metres. As to when you can get one, I’ve seen March 08 mentioned, although on FM it was suggested that Canon (CPS) in Australia were saying the end of next year is more likely. October 16th Two huge lenses from Canon are announced — no more details on the lenses but they are supposed to be shown at the PhotoPlus Expo in New York from October 18th – 20th. “The Canon EF200mm f/2L IS USM, targeting users who seek a brighter lens for portraiture and indoor sports photography, realizes a large aperture of f/2. 12th We’ve had an interesting mail suggesting some updates to Canon’s TS-E tilt shift lens lineup. In particular aimed at making them good for the 1Ds3. As a regular user of the 24mm and 90mm I could certainly see the benefit of a top notch 24mm (or 21mm). The 90mm is currently one of Canon’s sharper lenses, so I wouldn’t expect to see new optics there. What would be a lot easier to engineer is a more versatile tilt/shift mechanism that could allow easier adjustment of the relative tilt and shift axes, without the need for a screwdriver, as when I converted my TS-E 90. Canon is including the ability to fix lens ‘faults’ in software, so an all new range of TS-E lenses that include tilt and shift info in the EXIF would give them an interesting bit of technology to market. Of course using TS-E lenses effectively takes a fair bit of learning, one of he reasons I built my Canon View Camera adapter. 2007 September 26th In an odd report from Finland, it seems that the 50/1.8 is ‘no longer made’ according to someone at Canon, discovered after someone wanting one was finding difficulty in obtaining the lens. Lens design is a very specialised discipline, with Canon historically only being able to develop no more than 3 or 4 new or upgraded lenses each year. Upgrading more of the wide primes (as per the 14mm L Mark II) Lots of these are relatively old designs. These sell to FF professionals and will definitely need updating as sensors climb into the 25mp+ range. The new 1Ds3 will certainly show the age of some lenses. Upgrading the telephotos and telephoto zooms with latest generation IS. Some of these (particularly the 100-400mm ) have 1st and second generation IS and could definitely benefit from an upgrade. Canon is looking at ways to expand its lens design capabilities here using new software and expanding the engineering teams in this area. Along with the Full Frame D3 and DX D300 Nikon announce a slew of new lenses. 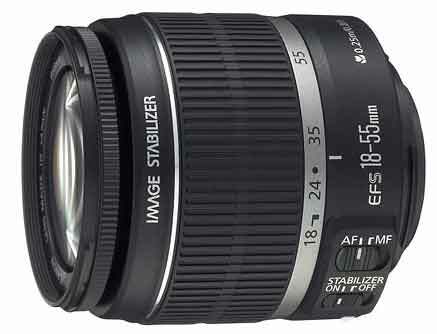 The AF-S 14-24mm f/2.8G ED measures 98~131.5mm and weighs approximately 1,000g. 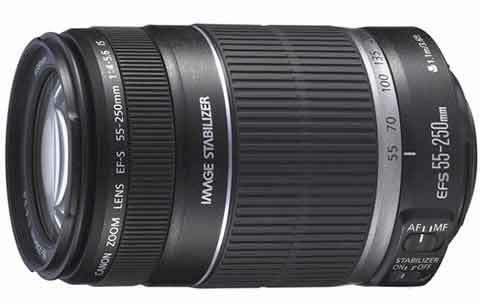 The AF-S 24-70mm f/2.8G ED measures 83~133mm and weighs approximately 900g. Each of the new lenses comes with a flower-shaped hood and a semi-soft case. 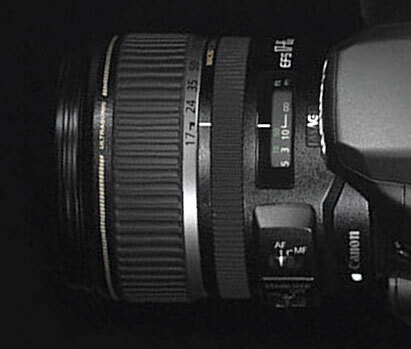 The hood of the 14-24mm is integrated, the 24-70mm removable. Guide Price to be confirmed in September. Both lenses will be available in November 2007. Designed primarily for discerning landscape and architectural photographers, the Canon EF14mm f2.8L II USM lens is ideally suited to the EOS-1Ds Mark III’s full-frame capability. Measuring 3.7 inches in length and weighing in at under 23 ounces, this ultra-wide angle L-series prime lens is well corrected for rectilinear distortion, provides a 114-degree diagonal angle of view, and delivers high-speed autofocus with higher image quality overall including superior peripheral image quality, compared to its predecessor, the stalwart EF 14mm f2.8L USM lens. EF-S lenses to fit on next version of the 5D? – see the 5D2 page for more info. July 16th A brief mention of a new 18-55 in the 40D rumours, but other than that, I was sent this PDF link to an interesting Canon guide to their lenses and the technology that goes into them. 7th I was browsing eBay (UK) today and noticed several cut price EF 100-400mm f/4.5-5.6L IS USM lenses – not being a regular eBay watcher I don’t know if this is common? As an aside, related to my eBay searches. I’ve been experimenting with various lenses out of my ‘old lens collection’, attaching them to my 1Ds. Apart from the ones that are best only for paperweights, they seem to fall into two categories. First, interesting, but surpassed by something I’ve already got, or secondly interesting and worth remembering for the odd occasion they might be of use (i.e. I can’t justify buying a modern AF version, if it exists). 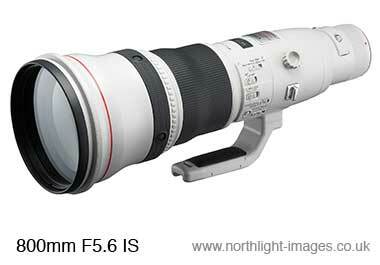 5th Several mentions of a possible new EF-S 18-200mm f3.5-5.6 IS USM to be launched with the 40D. The oldest reference for this I can find, is on DPR and refers to an original Japanese posting. “The EF 16-35mm f/2.8L II USM is a high performance, water-resistant, and ultra wide-angle Canon L-series lens. It has been specifically designed for improved edge-to-edge image quality that will meet the strict requirements of professional and high-end amateur photographers. It features 3 high-precision aspherical lens elements, each of a different type: ground, replica and GMo for even better image quality than the original EF 16-35mm f/2.8L USM. The circular aperture produces a beautiful and natural background blur when shooting at wider apertures. February 21st I’ve just been pointed to a Danish company that has the current 16-35L on special offer. Perhaps to make way for a new version? Now that -would- be interesting, since I use the current 16-35 2.8L quite a bit and was wondering how it would perform once I (eventually) get a 1Ds2 replacement. 2007 February 20th Someone tried to order the 100-400 f4L IS lens and the final price came up as 7494 Euro –this compares with the Nikon 200-400 F4.0 VR which costs 6400 Euro (info -in German-) It also said that the lens would be ready for shiping! 8th There is a UK Dealer event on the 23rd (see main rumours page for more info) at which there may well be some new long glass announced. More contacts/connections? Is this the ‘new lens mount’ that keeps popping up in rumours – new, but backwards compatible? 27th Screen shot of a page we were sent from the Canon UK site showing an all new 800mm f/5.6 DO lens ? Interestingly enough this has been discussed quite a bit on DPR with most people thinking the previous posts about this lens were fakes. The page has since been pulled – a good lens to go with a replacement for the 1DMkIIn?? Canon is also the only manufacturer to provide a full range of professional zoom lenses in both the high-speed f/2.8 category as well as the compact and lightweight f/4 category. 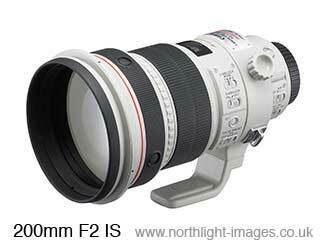 Rounding out Canon’s f/4L lens lineup is the new EF70-200mm f/4L IS USM lens. This “L” series lens is designed for professional or advanced amateur photographers seeking maximum performance and versatility. This is a lens that can handle almost any assignment, ranging from distant subjects to the demanding requirements of up-close and personal portraits as well as nature photography.The EF70-200mm f/4L IS USM lens stands up to the rigors of professional use The lens is sealed from dust and moisture, and is equipped with the latest generation of Canon’s Image Stabilizer (IS) technology, making it an optimal everyday shooter. The image stabilization achieves three shutter speed steps of camera shake correction within 0.5 seconds after the shutter button is depressed halfway and yields correction for up to four full shutter speeds while handheld, providing a new level of performance. Users can also select two IS modes, one for stationary subjects and another for intentional panning.The EF70-200mm f/4L IS USM lens is the same size as the EF70-200mm f/4L USM lens that remains in the EF lens line, but the new lens adds several valuable features. In addition to enhanced weather sealing and image stabilization, the EF70-200mm f/4L IS USM lens incorporates a circular diaphragm to create more natural looking background blur, and distance information to aid autofocusing and automatic flash exposure. The lens also suppresses flare and ghosting with advanced coatings and optimal placement of its 20 lens elements in 15 groups. One Fluorite element and two UD (ultra low dispersion) elements thoroughly suppress chromatic aberrations for crisp photos throughout the entire focal range. A ring-type Ultrasonic Motor (USM) provides fast and silent autofocusing, while the full-time manual focus function provides maximum control even when the lens is set for AF. **Pricing subject to change at any time. Actual prices are determined by individual dealers and may vary.